For many people, the term ‘third eye’ brings up thoughts of the metaphysical, the mysterious, and the strange. However, references to a ‘third eye’ have crossed many different cultures across the world, and can be traced back thousands of years. Variations of the ‘third eye’ are present in many religions. And finally, there have been scientific advances which link the third eye to concrete, physical processes and structures (most notably, the pineal gland). Many yogis hope to awaken their third eye, and in doing so become more in tune with their vision. What does the third eye do? The third eye does many things that are meaningful for yogis. As an ‘eye,’ it is of course linked to vision. However, unlike a person’s two physical eyes, the third eye sees that which cannot be seen by the naked eye. Instead, the third eye sees truth. It sees beyond ego and externalities, and is the key to intuition. It sees things as they are, and not as how a person may want them to be. To understand why and how the third eye offers insight and vision, a person must delve into the philosophical background. There are mentioned to the third eye within many ancient civilizations and cultures. 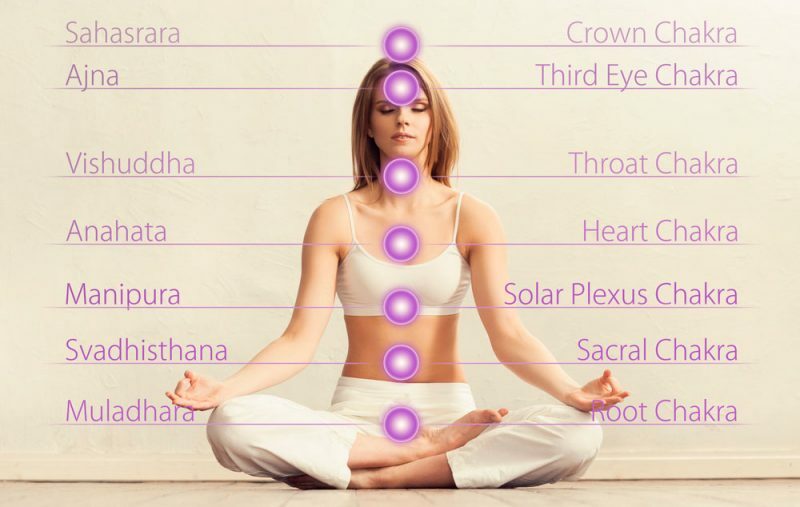 Within yoga, Ayurveda, and Hindi cultures, the third eye is linked to the Ajna chakra, or sixth chakra. This chakra is located between the eyebrows, just as the third eye is. It is likewise said to be the key to vision, perception, intuition, and clarity. If a yogi has passed into their Ajna chakra, then they have let go of their ego, and embraced the Self’s union with the Divine. They have given up Maya, or the perception of the individual as a separate being. They have embraced the supreme consciousness that all beings share. In Egyptian philosophy and history, there are also mentions of the third eye. The primary example is the Egyptian Eye of Horus. Additionally, ancient Egyptian scrolls and tombs also show a marking between the eyebrows, called an udjat. The udjat is identical to the Hindu bindi, a marking that is still used to this day between the brows. This marking was meant to symbolize health, vision, and royal powers. Even in more modern, Westernized cultures, there are references to the third eye. It is a common saying that someone may feel their ‘sixth sense’ tingling, or that someone has a ‘sixth sense.’ What is this sixth sense? The sixth sense coincides with the sixth chakra (Ajna chakra) mentioned above. It refers to a sense of intuition or foresight that some people may experience. This is a result of the third eye. Many people will not be convinced of the power of the third eye just by the philosophical and historical background. In more recent times, a scientific evidence base has developed to support the more ethereal claims surrounding the third eye. For thousands of years, symbols of the third eye have been placed between the eyebrows, as shown in the Hindi and Egyptian cultures. This corresponds with the biological location of the third eye: the pineal gland. It is now widely believed that the third eye is actually the pea-sized endocrine gland known as the pineal gland. The pineal gland secretes hormones such as melatonin, and as such is known as the body’s clock and controls circadian rhythms. It influences when a person feels tired, awake, and sleeps. Melatonin also influences reproductive hormones, which will impact a person’s mood, vitality, and fertility. For a long time, the pineal gland was seen as a ‘vestigial organ,’ or an organ that exists in the body but no longer serves a purpose. Some have theorized that this is because modern people have lost touch with their spiritual vision and intuition. Others put this down to encironmental impacts such as increased fluoride and calcium in people’s diets, which can supposedly cause calcification of the pineal gland. In comparison, prophets, sages, and Yogis of thousands of years ago are said to have had much larger pineal glands. When the current purpose of the pineal gland (to secrete melatonin and control circadian rhythms) was discovered, this provided a clear biological link to the powers of the third eye. If you suspect you have issues with your third eye, as most people do, you may be interested in different ways to awaken the third eye. Yoga is designed to help practitioners reach Samadhi, or enlightenment. To do this, their spirit must pass through all seven chakras, including the Ajna chakra. To truly become enlightened, a yogi must awaken their third eye. Below are some specific examples of how a yogi can awaken their third eye. One of the most common ways to work on awakening the third eye is through meditation. With meditation, the yogi calms their ‘mind-chatter’ or ‘mind-stuff,’ as referred to in the sutras. By finding stillness in mind and spirit, the yogi is then able to clearly see beyond externalities and ego. They are able to see the world and the Self in their truest form. To enhance meditation for the third eye, the yogi should be sure to meditate with closed eyes. They should visualize a strong white light emanating from the space between their eyebrows, slightly behind their forehead. With eyes closed, they can even shift their gaze toward this space. By focusing the senses on this area, the third eye may be stirred and slowly awakened. In this pose, the yogi sits back on their heels, with the tops of the feet pressed into the mat. They walk their arms out in front so their body is extended over the knees. To activate the third eye, it is essential that the yogi presses their forehead to the mat in this pose. This helps with a feeling of security and grounding, as negative energy is drawn out of the third eye. This is a standing twisting pose, in which one of your legs is wrapped around the other. The arms are twisted as well, and bent at the elbows with the upper arms parallel to the floor. To engage the third eye, make sure your hands are resting against the forehead. As you balance, close your eye and bring your awareness to the third eye space. Dolphin pose is similar to downward facing dog, except the forearms are planted on the mat. In some cases, the hands may even be clasped together. By lowering the upper body closer to the mat, lymphatic and blood circulation is increased to the head. This also increases prana flow. As such, the pineal gland and, therefore, third eye can be activated. Additionally, yoga poses such as inversions, hip openers, and any pose where a mudra (hand position) is placed over the eyes or forehead can aid in awakening the third eye. The pineal gland is not separated from normal blood flow like the rest of the brain is thanks to the blood brain barrier. In fact, the pineal gland receives the most blood flow of any bodily organ, apart from the kidneys. This blood flow increases the chance for toxins to inhibit the pineal gland, and therefore the third eye. As such, it is important to support detoxification pathways. Detoxification can be done through cleanses, consuming certain detoxifying foods, using activated charcoal, consuming herbs that clear the liver, and practicing twisting yoga poses. Because the pineal gland, and therefore the third eye, controls a person’s sleep-wake cycle, it is important to make sure this is balanced and healthy. An imbalanced sleep-wake cycle may point toward issues with the third eye. To awaken the third eye, a person can focus on regulating their circadian rhythm. Examples of how to do this include spending more time in sun, and sleeping in complete darkness. ‘Sleep hygiene’ can also be practiced, in which the person goes to sleep and wakes up at the exact same time every day. The solutions discussed above are just a few examples of how a person might awaken their third eye. There are still many other suggestions, such as avoiding calcium and fluoride, introducing certain essential oils, and more. Experimentation with many different methods will help the person find their favorite practices. How do you know when your third eye is awoken, though? Some people report visualizing colorful lights and pinecone (pineal gland shaped) imagery. Others say they are able to see auras and bright, beautiful colors. They feel a heightened sense of intuition, and what some refer to as a ‘sixth sense.’ Still other people report terrifying experiences, such as seeing dark figures and sensations. In these cases, it is thought that the person opened their third eye too soon. They were not spiritually or emotionally prepared to experience the awakening of their third eye. In light of these experiences, it is important not to rush the process of opening the third eye. Take each step with Santosha (contentment) and acceptance. When you are ready, the third eye will awake.